Just a little bit more about the #HiveTour here and fill you guys in and see what you think and who is down to share and support us on this quest. Since I started with my Ktown brand my primary focus has been independent arts and entrepreneurs. There are so many amazing people I have met here in Jacksonville, FL with talent that deserves to be seen, heard and more. I have spent a lot of time hosting indie shows, vendor events and more hoping to help with their exposure all while building a name for myself. I blog here and there, go live from shows and love to just have fun with it all. About 2 years ago my husband and I started dating and everyone fell in love with us as a couple and asked for us to do a joint project together. 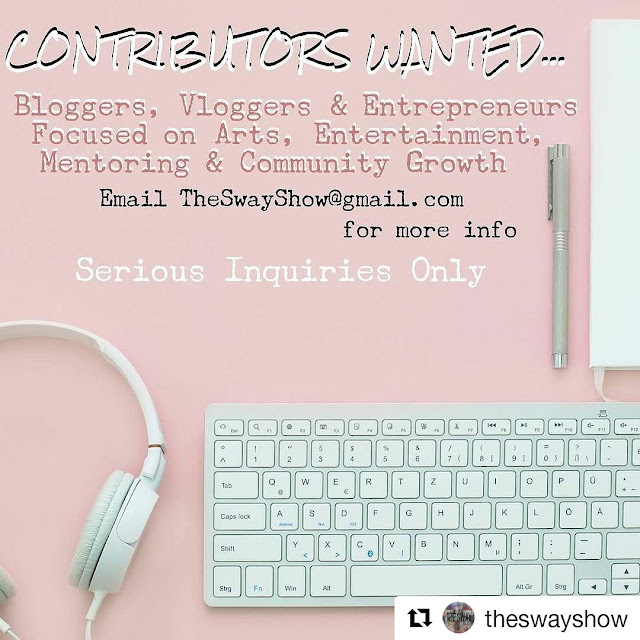 We are often invited out to various concerts, festivals and so much more so we came up with The Sway (meaning: The Kingdom) as an idea for covering events while we are out and about. Often times we will go live from events and of course post pics and videos as well. We want to do more though and we want to start right here in Jacksonville, FL, take it on the road and then back here to Duval where we want to open our own business (more on that in a later blog). For now though let's discuss this show a little more and the tour. 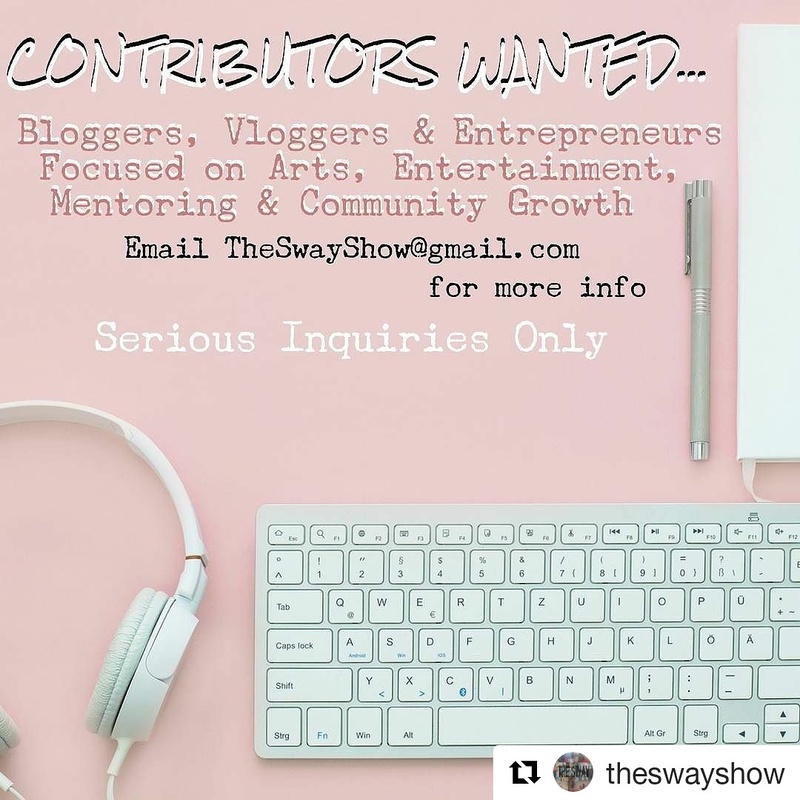 We'd like to grow The Sway into a monthly talk show, with various segments on life, art, entrepreneurship, mentoring and community outreach. We have various contributors from all over to bring you talent, techniques and more from bloggers, teachers, small business owners and various professionals across the country. We want to bring them on to highlight the talent we have across this beautiful and diverse country. With no concrete time set in place (yet!) the next step would be to take it on the road. We are creating a business plan to buy an old school bus or RV and convert it into a mobile home/studio. This would take us on the scene to events, we can bring artists on-board for interviews, chefs to whip up some meals and become a moving mural created by artists everywhere as we head cross country to spotlight creative types, entrepreneurs and more across the states while still having contributors send in their updates as well. We know you want to support indie, find out about different new projects and more so that's what we'll be here to do! You can be in Colorado supporting a Musician in Virginia or in Cali buying food from a Florida Chef, and in Maine hanging up art from a Texan. It's all about love, support and looking for ways to connect us humans through our passions. We want to be honeybees (there will always be references towards bees) dripping a little bit of sweet new things to you all on a regular basis and helping improve communities and connections all over. Don't see your skill listed but think you can contribute? Still please reach out!